Now a days I don't have time to look put together, dealing with so much baby hair sprouting out I look more unkempt than usual! I know it's all down to my hormones changing and it'll take time for my hair to grow back following this hair shedding stage but I wanted to use products that would help nourish my locks as I've been so self conscious of my thinning hair. 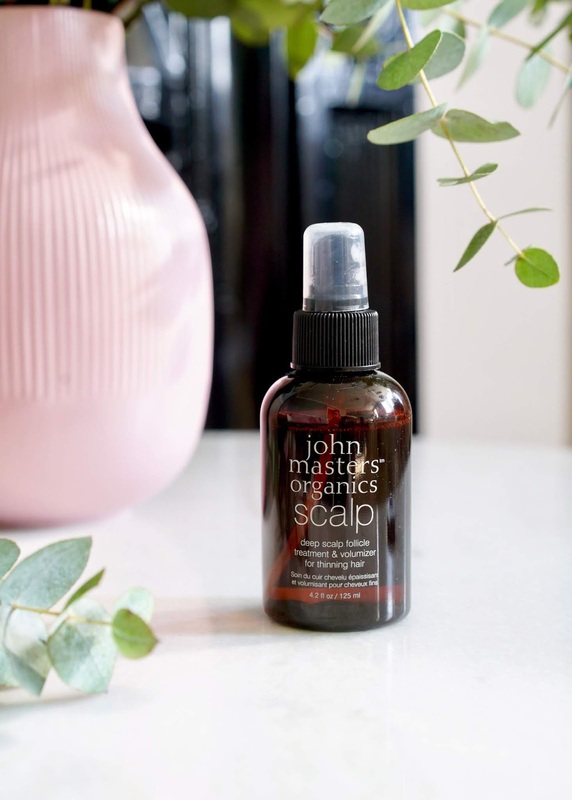 It was perfect timing as I was kindly sent some hair care products from John Masters Organics, their ethos is all about healthy holistic living and caring for your hair in a gentle way with organic ingredients (at least 70%). The moment I read about the Deep scalp follicle treatment & volumiser for thinning hair* I was sold. The treatment spray has everything you need for full and healthier looking hair. It contains Organic jojoba seed oil, thyme leaf oil, rosemary oil and white tea leaf extract, all to help add volume, keep in moisture and rich in antioxidants. I love using this spray! It's a great feeling knowing it's a natural product that's been helping keep my fine hair at bay and giving it the nourishment it needs right at the scalp. I knew I needed a special shampoo to help stimulate my hair regrowth and get it feeling and looking healthy again. The John Masters Scalp simulating shampoo* with spearmint and peppermint helps stimulates, refreshes, purify and detoxify the scalp. It has a strong herbal minty scent but I don't mind once I start working it into my hair. I've really been enjoying this shampoo, knowing it's doing my hair good. I don't know if it's down to laziness or lack of time but I've not been using conditioner for my hair - having a quick shower is all I can mange these days but I can tell my hair was suffering. 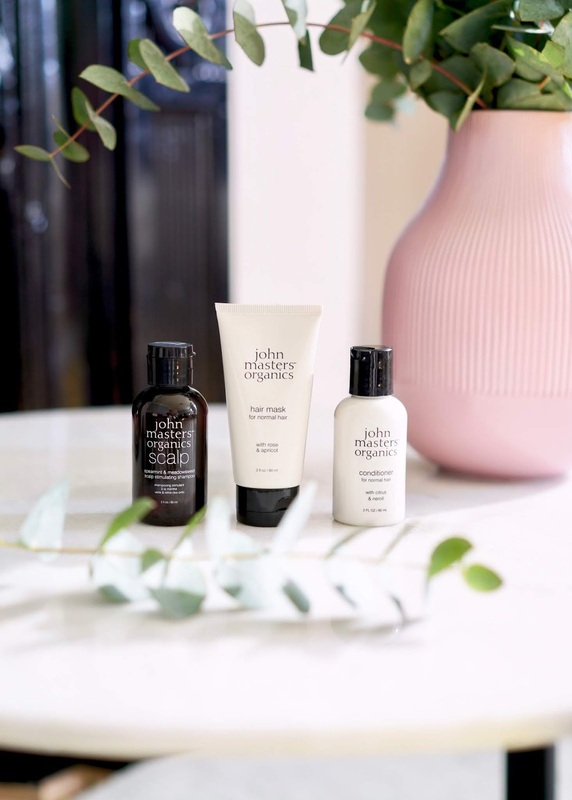 The John Masters Condition for normal hair* is lightweight and silicon free, it contains grapefruit peel, neroli flower and coconut oil to help smooth hair strands, add shine and add moisture. It's an uplifting scent and leaves my ends super soft and silky. It has really made a nice addition to my hair care routine. It's been a long, long time since I've treated my hair with any sort of hair treatment so the John Masters Hair mask for normal hair with rose & apricot* was very much needed on my dry and lackluster locks. The silky hair mask helps balance moisture levels, repair split ends and nourish and stimulate the scalp. It contains organic rose water, apricot oil and aloe vera leaf juice, which will not dry out your hair and really help replenish lose moisture and leave it looking healthy and luscious. The rose scent also smells divine! The mask is lovely to use and doesn't leave my hair feeling heavy when I rinse it out. I've never been one to brush my hair as it's constantly in a mum bun and don't even own a hair brush. 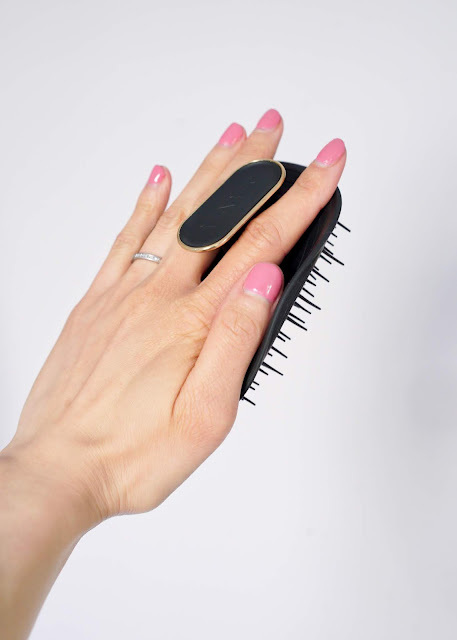 I was really pleasantly surprised when I started using the Manta hair brush* the unique shape molds to your hand and scalp and makes brushing your hair more gentle and creating less tension. It feels so soft on the hair no hard prongs and doesn't pull or drag on any knots! I love the way the brush feels on the scalp, like a massage and it helps stimulating healthy hair growth. I was expecting to find lots of stray hairs on the brush but there wasn't any! 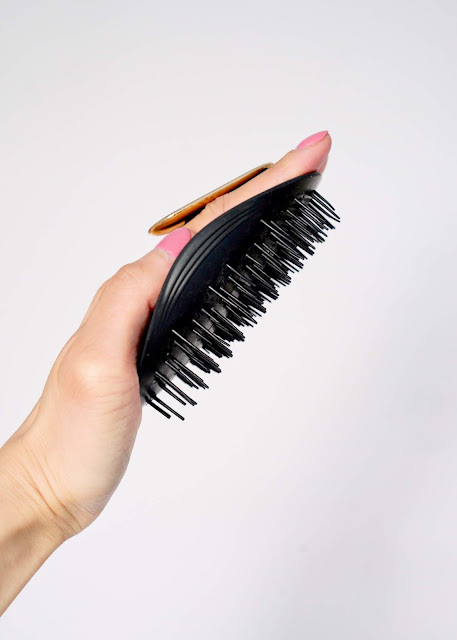 There are a lot of brushes on the market but this one is special as it was designed by a professional hairdresser who wanted a brush that minimizes breakage, free knots and glides effortlessly through your hair. His wife was diagnose with a life threatening illness and experienced hair loss. 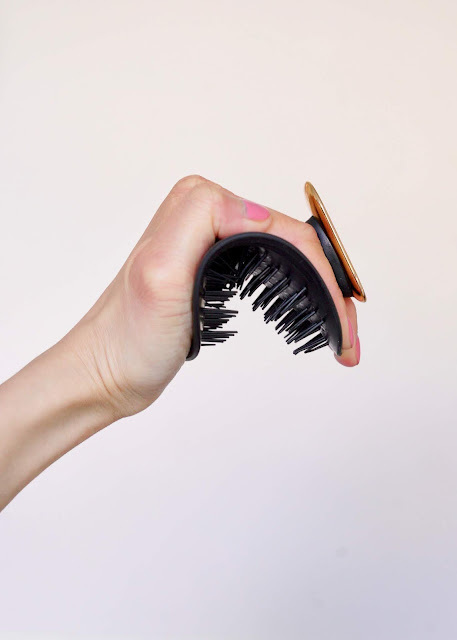 I think that is such a great way to reinvent the way we brush our hair. So if you worried about thinning hair, this is a lovely brush to use and really leaves your hair soft and knot free. I think it's easy to take our hair for granted but dealing with hair loss can be a major setback and knock your confidence Also for every 10 Manta brushes sold, 1 is given to a person with cancer, isn't that amazing knowing you're supporting a good cause as well. It also comes in 2 colours, black and white with gold/rose gold accents as well as a handy carry case. 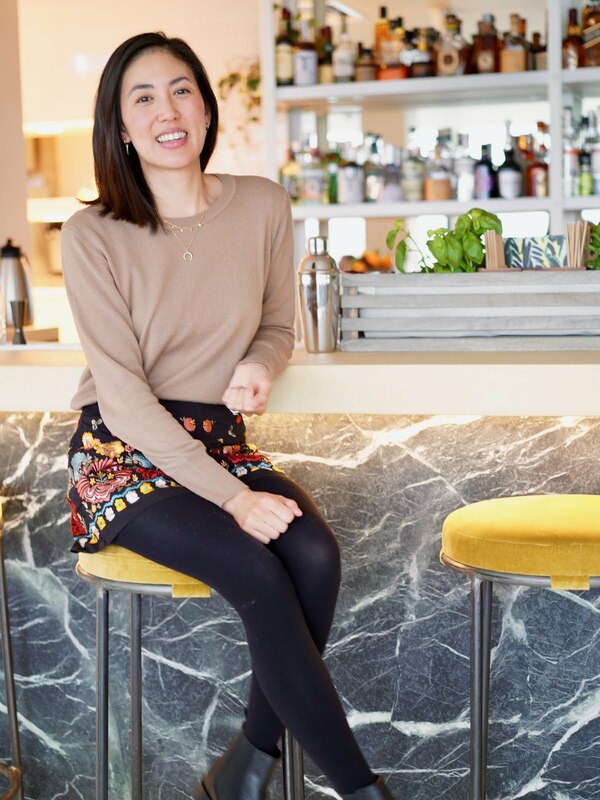 Thanks so much for reading! 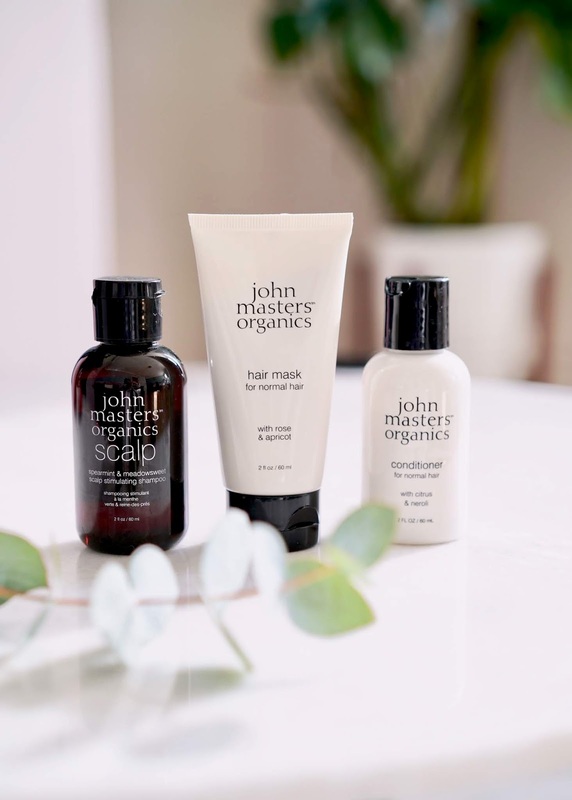 If you're looking for natural hair care products to boost thinning and fine hair, I would definitely recommend the John Masters range. My hair finally feels healthier again! What are your fav hair care products?